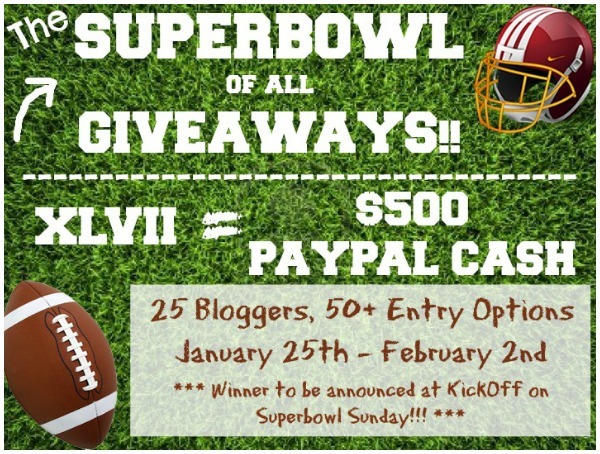 Super Bowl XLVII $500 Paypal Cash Giveaway!! It’s countdown to the biggest football game of the year! And, this is the SUPER BOWL of all GIVEAWAYS!! Let’s celebrate with a huge $500 Paypal CASH GIVEAWAY!! What team are you rooting for? Me, on the other hand, just was informed by my son, who is actually in the Super Bowl. Yep, I’m one of those! You know, the one that just goes to the party to socialize with the other guests, watch the commercials, and eat the food! So… speaking of having great food at a football party, I’ve gathered up my favorites Sweet Snacks for you. Click on each sweet treat (above) to take you to the original source and recipe. If your team didn’t make it to the big game day this year, you can still come out as the WINNER! Enter the giveaway down below to win $500 Paypal Cash! The Giveaway ends at the Super Bowl kick off time on Feb 2nd, 6:30pm EST. Winner will be chosen randomly. The winner will be emailed during the game. The winner must claim their prize within 48 hours before another winner is chosen. Once a winner has responded to the email, the name will be announce below. But first, a few of us bloggers participating in this awesome GIVEAWAY is also sharing some of our game day appetizers! Woot Woot! Good luck to all! I love Gameday food!! Everything looks amazing. I have to agree with you, Shannon…. LOVE game day food, too! Claire, your truffles ROCK! Have a most fabulous day! Awesome roundup Gloria and way to go on the image mapping.. woot woot! 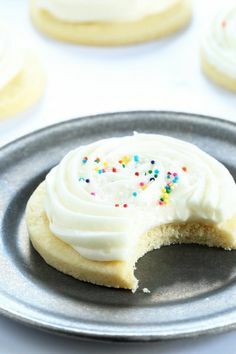 🙂 Thanks for including my mint cookies. Thanks, sista! Love your dark chocolate cookies… soooo minty!